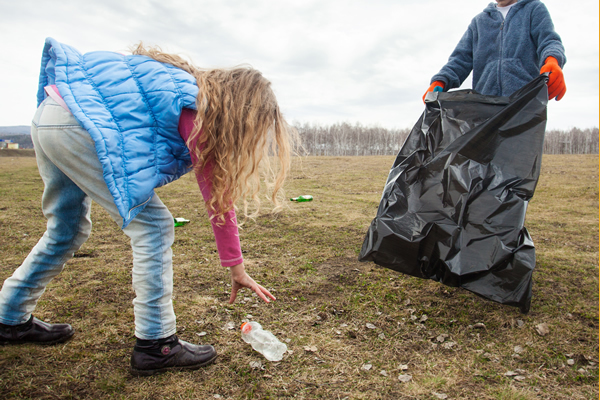 A community clean up is a great way to show that your group cares about your local environment, while actively encouraging people not to drop litter and to take pride in where they live. Hull City Council support groups or residents who would like to take an active role in making their areas clean and tidy. Your council area co-ordinator will be able to support you by supplying you with litter pickers and arrange collection of the rubbish after your event. Decide on where you would like to carry out your litter pick. Contact landowners to make sure you have legal access to this area. Landowners can be the council, farmers, or local estate owners, if you are unsure on who owns the land, call Tel: 01482 300300 who will be able to help you with this. Make a site map. Note your route and identify locations for first aid, toilets, public phones, useful amenities, break areas and so on. Decide how you will present the clean-up to your volunteers. It can be a straight forward litter pick, or you can have a theme or set a challenge. Rally your volunteers! Try to get support from other groups and individuals to make this a community event. Use posters to advertise the event in shops, schools, libraries or notice boards. Work out what equipment you will need for the event. For example, gloves, litter pickers, refuse bags. Contact Hull City Council who will be able to provide some if not all of the equipment needed. Brief volunteers before the event. Make sure they know where and when to meet, what clothes to wear and which equipment to bring. Arrange for waste disposal. Contact Hull City Council who will be able to support you with this.